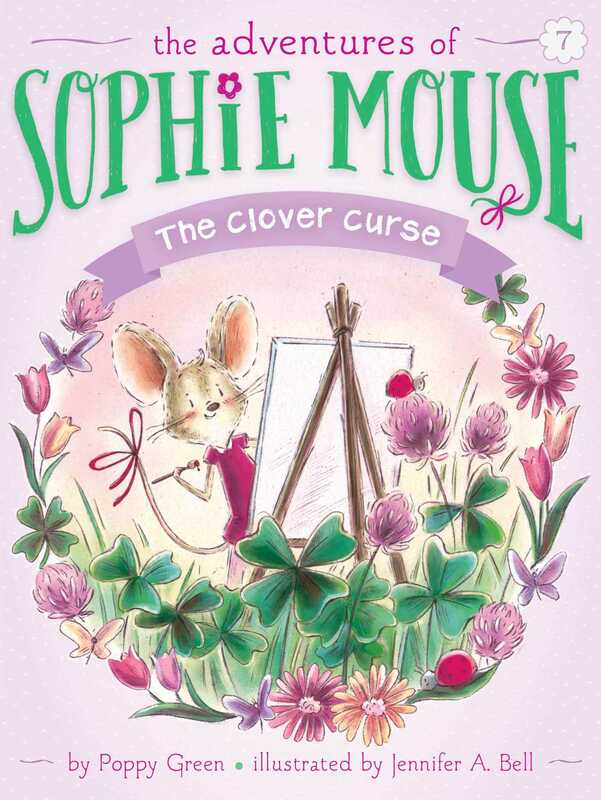 Sophie finds a four-leaf clover that isn’t exactly lucky in the seventh book of The Adventures of Sophie Mouse! Sophie Mouse is painting in Clio’s Clover patch on a beautiful spring day when she spots something unusual. It’s a clover…but it has four leaves! Four-leaf clovers are supposed to bring good luck, right? Sophie waits and waits for this good luck, but it seems like just the opposite is happening. She spills paint all over herself, she doesn’t have any fun daydreams, and she forgets about an adventure she was supposed to go on with Hattie! Will Sophie ever be able to break this Clover Curse? Poppy Green can talk to animals! Unfortunately, they never talk back to her. So she started writing in order to imagine what they might say and do when humans aren’t watching. Poppy lives on the edge of the woods in Connecticut, where her backyard is often a playground for all kinds of wildlife: birds, rabbits, squirrels, voles, skunks, deer, and the occasional wild turkey.